If you have been putting off a trip to Flagstaff to handle business with county agencies there, you might not have to go after all. 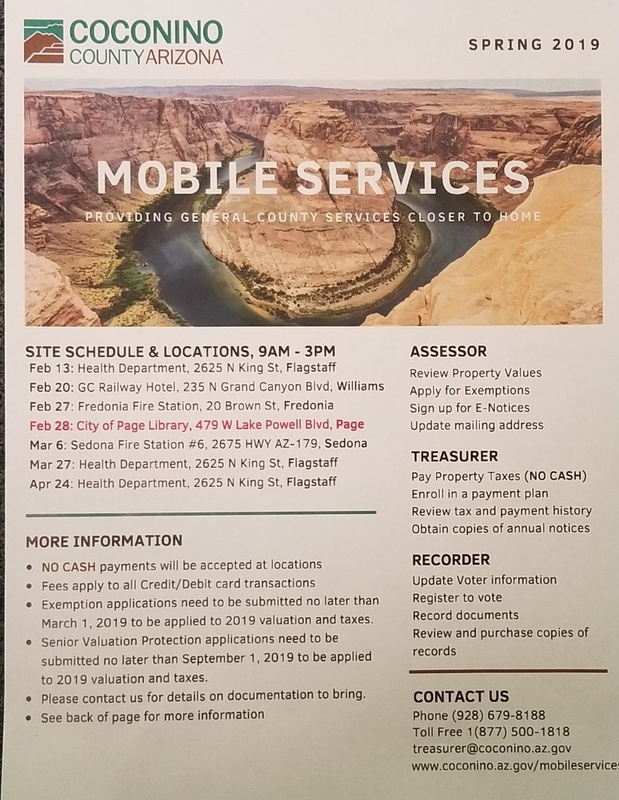 If you are needing to see the County Treasurer, Assessor or Recorder they will be in Page for a Mobile Services Day Feb 28th at the Page Public Library. You can pay property taxes, enroll in a payment plan, update your voter registration, review property values among the many other services you might need from the Coconino County Assessor, Treasurer or Recorder.